Undefeated IBF World super flyweight champion McJoe Arroyo of Puerto Rico is set to step on the Philippines soil on August 29, 2016. It was confirmed by Ancaja's Manager Joven Jimenez. 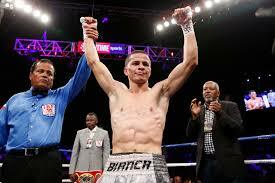 Arroyo won the IBF Flyweight title against Arthur Villanueva via very controversial decision. Arroyo will defend his title for the first time vs the Filipino Jerwin Ancajas at Strike Coliseum in Bacoor, Cavite on September 3, 2016. The tickets for the event is absolutely free.